Scientists believe global warming is very unlikely to cause an ice age. Another dangerous scenario that is often discussed, however, is a massive rise in sea level. In the documentary film An Inconvenient Truth, for example, Nobel Peace Prize winner and former U.S. vice-president Al Gore argues that melting ice sheets could cause a sea-level rise of 20 feet (or about 6m) "in the near future. "24 Gore presents a graphic showing inundated coastlines, and contends that this sea-level rise would cause massive dislocations and suffering. "A commission of 20 international experts" estimates a sea-level rise of 1.5m to 3.5m in sea level by 2200... such an increase "would spell the end of many of our coastal cities." The mainstream of scientific opinion falls between Al Gore's scenario and the relatively safe future envisaged by Essex and McKitrick. The Intergovernmental Panel on Climate Change (IPCC) Fourth Assessment Report from 2007 estimates that sea levels will rise 18cm to 59cm (7 inches to 23 inches) in the next century. According to a January 2009 report from the U.S. 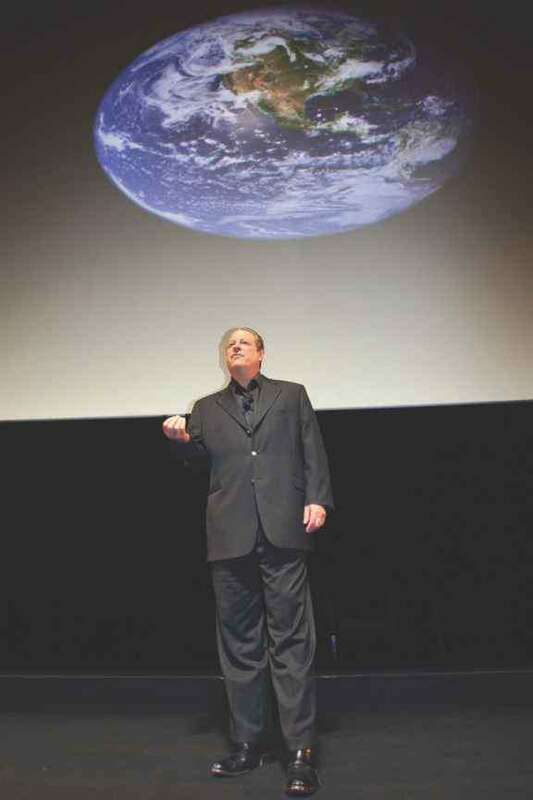 Following page: Former U.S. vice-president Al Gore used the documentary film An Inconvenient Truth to warn about rising sea level and other effects of climate change. Valery Hache/AFP/Getty Images. Source: James G. Ritus et al., Coastal Sensitivity to Sea-Level Rise: A Focus on the Mid-Atlantic Region, U.S. Climate Change Science Program, January 2009, p. 19. www.climatescience.gov. wait, there's another place it can go," said Loisel.30 There might be many factors, such as peat bogs, that may reduce or increase sea-level rise. Some may matter only a little; others, such as those that affect the speed of ice melt in Greenland, might have a significant impact. 18. Quoted in John Roach, "Global Warming May Alter Atlantic Current, Study Says," National Geographic, June 27, 2005. http://news.nationalgeographic.com. 19. David Stipp, "The Pentagon's Weather Nightmare: The Climate Could Change Radically and Fast. That Would Be the Mother of All National Security Issues," Fortune, February 9, 2004. 20. John Roach, "Global Warming May Alter Atlantic Current, Study Says." 22. Weaver, Keeping Our Cool, p. 147. 23. Quoted in Kent State University, "Study Sheds Light on Earth's CO2 Cycles, Possible Impacts of Climate Change," May 2007. www.kent.edu. 24. Quoted in Roger Highfield, "An Inconvenient Truth Exaggerated Sea Level Rise," Daily Telegraph, September 4, 2008. www.telegraph.co.uk. 25. 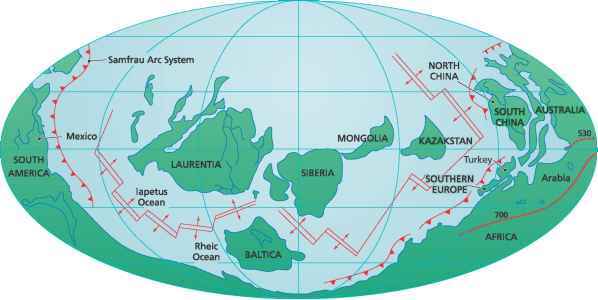 Quoted in Stefan Lovgren, "Warming to Cause Catastrophic Rise in Sea Level?" National Geographic, April 26, 2004. http://news.nationalgeographic.com. 27. James G. Titus et al., Coastal Sensitivity to Sea-Level Rise: A Focus on the Mid-Atlantic Region, U.S. Climate Change Science Program, January 2009, pp. 19-20. www.global change.gov. 28. Stefan Rahmstorf, "We Must Shake Off This Inertia to Keep Sea Level Rises to a Minimum," Guardian, March 3, 2009. www.guardian.co.uk. 29. Essex and McKitrick, Taken by Storm, p. 286. 30. Quoted in Michael Reilly, "Sponge-Like Peat Bogs Could Offset Sea Level Rise," Discovery News, May 28, 2009. http://dsc.discovery.com. warming over the next hundred years. Such a rise will have important effects on coastal areas in the United States.